I have two exciting (and extremely humbling!) things to share with all of you. You are all cordially invited to join Ed, Brian, Hope and me this Monday, July 14th, at Gillian's Wonderland Pier in Ocean City, NJ! 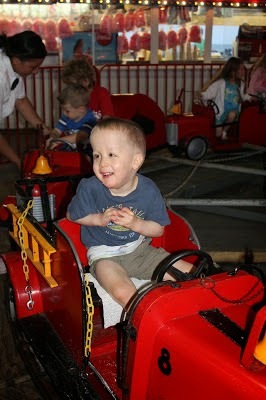 This is the amusement pier on the boardwalk that named the fire truck after Gavin!! You can read all about that HERE. 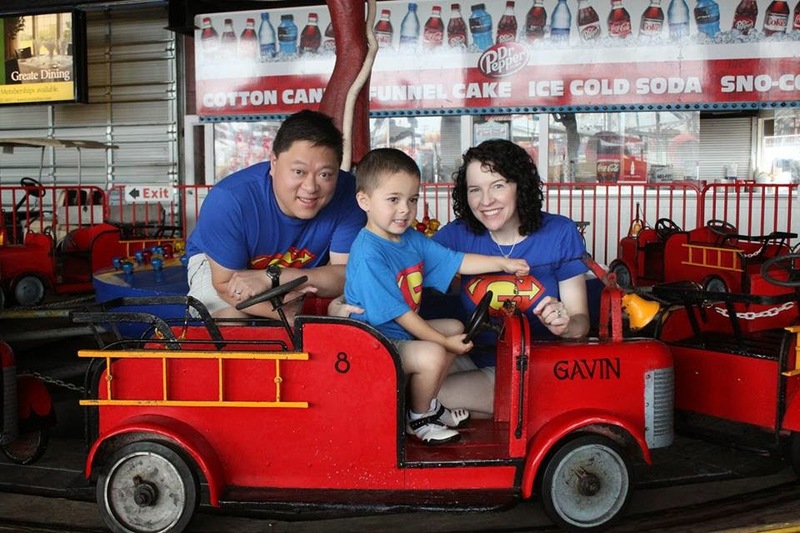 The Gillian family approached me several months ago and said they wanted to help me with Gavin's Playground Project. They told me that each week through the Summer they have "Magical Mondays." On these Mondays, people can purchase a wristband for $25.00 and get unlimited rides (woo hoo!!!!) from 1-4pm. At the end of the day, half of the proceeds go to a charity. This Monday, that "charity" will be Gavin's Playground Project!!! They will send a check directly to duPont Hospital to help fund the all abilities playground! I was floored - and so excited. We planned a family vacation around it - many of my family members will be there! We hope to see you there!! 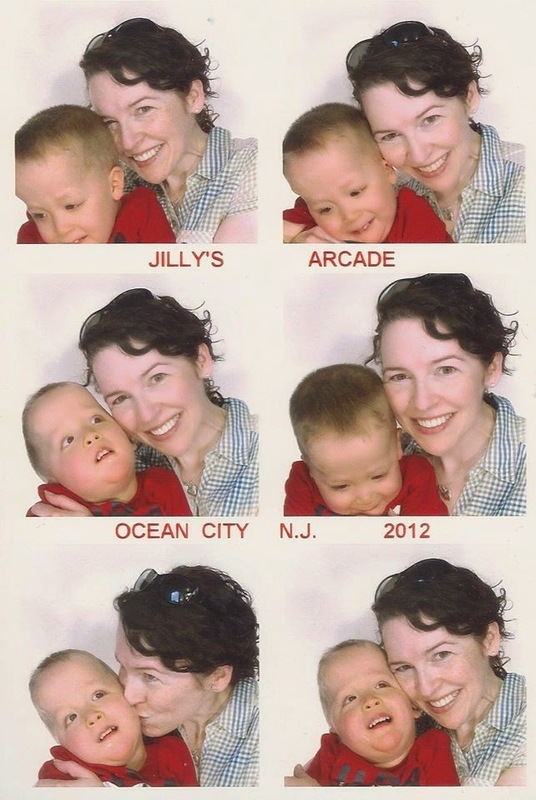 It's for such a great cause - and really, there's no better place to make some money for "Gavin's playground project" than in Gavin's favorite place on Earth - Ocean City. The planning at the hospital is coming along and I have been promised another update on what's been happening in a couple weeks. In the meantime, the fund development office has created a special fundraising page inspired by the "Playground Project!" They even shared Gavin's story on the main page. You will notice on my fundraising page that you can create your OWN fundraising team!! You can share it on your Facebook or with your family and friends! You can have your boy scout or girl scout hold a fundraiser as part of their service for badges! You can ask your church youth group to start a service project. The possibilities are endless. 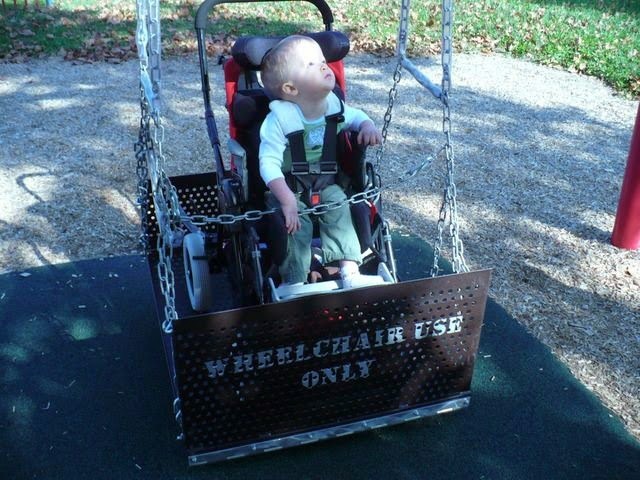 You can fundraise in memory of Gavin... you can fundraise in memory of or to honor your own loved one... or you can fundraise because you believe that no child should be left on the sidelines of a playground because of their disability. I'm so happy that this has happened. I am a bit naive at times and very trusting. Along the way, a handful of people asked me if they could fundraise in Gavin's memory for the playground and I said yes... I was honored! They fundraised... and guess what? Never heard from them again. I hope that none of you were victims of their dishonesty. With this new setup, any money that is raised is donated online directly to the hospital or mailed to the hospital. Check out the fundraising page for Chasing Rainbows! Feel free to share it if you wish - and definitely feel free join my fundraising team or create your very own team page! You can even use one of Gavin's photos if you'd like. Thank you to all of you who already supported Gavin's Playground Project. We really are on our way to making the impossible... possible. I hope you are proud, Gavin. This is all for you, buddy. I can not even express how much I miss you. These little events and trying to help others in your name really does soothe my broken heart. I so wish I could attend! Not only is it for a great cause but it is on my birthday! Unfortunately I have to work, but I will be there in spirit. My little boy rode Gavin's firetruck last night. What a special way to honor a special boy! I would love to come but live in California. Going on vacation to Washington. I hope you meet a lot of your buddies. I would love to meet all of you. I pray for all of you. So happy to hear about the money raised for your special project. Enjoy yourselves. Great that your family can be there too.